Fabric stretched over a lampshade, may eventually streptise, SAG or fade. If a rigid frame is in good condition, don't throw away the lamp. 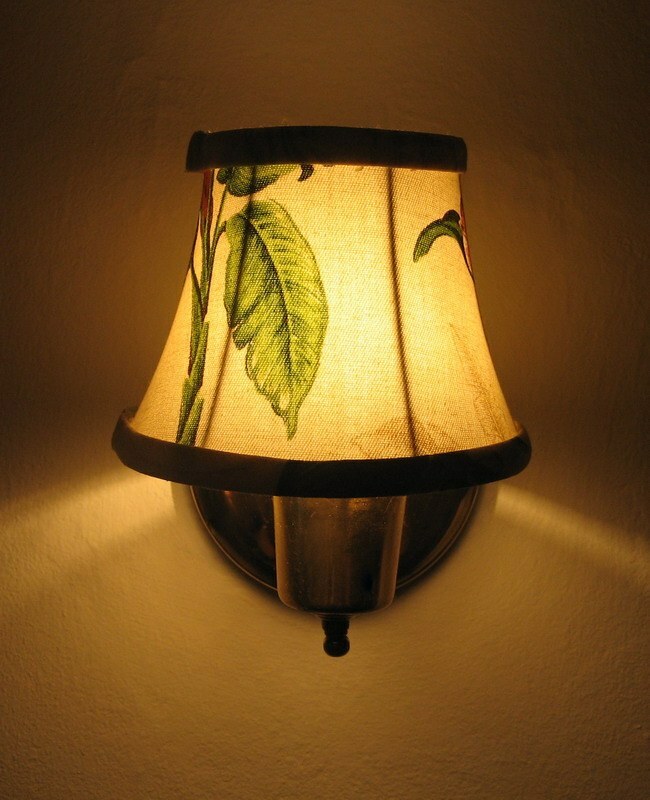 Make yourself a cover for a lampshade, given the interior, which will be upgraded to a lighting device. Unplug the appliance. Then remove the lampshade from the lamp. For this you need to Unscrew the cartridge, which attaches the rigid frame to the base of the chandelier or floor lamp. Gently podposite old fabric on the shadee at the point of attachment to the substrate. On the old model it will be convenient to make a new pattern. If you have a bare frame without the cloth, the pattern will have to do it yourself. Spread on the table or on the floor a piece of tracing paper, old Wallpaper or unfolded sheet of newspaper. Attach them to removed the lampshadeand the fabric. Circle it with a pencil. If the lampshade is conical in shape and pattern need to do from scratch, measure with measuring tape the bottom edge of the framework as well as the distance between the top and bottom of the lampshade. Draw a rectangle on the paper, making a 3 cm increase on the seam and 2 cm to the hem on both sides. Wrap the paper pattern rigid base and accurately align it with the pencil and pins. Cut off the excess. Pin the pattern to fabric tailor's pins. Mark it with a pencil or a crayon. Don't forget to make seam allowances and hemming. If your case will be to stick to a rigid Foundation made of plastic, then the ACC may not need. Check out the Foundation shade. If it's metal frame, then it should not be rusting that will stain the fabric. If there are stains, cover the frame with paint on metal. Pick the color according to the color of the new cover. On the plastic substrate should not be sharp burrs. They can be sanded with sandpaper. Smetana thread cover for shadeand try it. If everything is in order, then the product prostrochite on a typewriter and secure it on the frame. If case you want to stick to a rigid Foundation, then dampen the cloth with adhesive spray and press onto the plastic base. The seam between the edges of the fabric over the hot glue gun. To cover did not slip, secure it believemy clothespins top and bottom of the frame until the glue dries. Attach an updated lampshade on the lamp. Decorate the finished lampshade can be lace, ribbons, flowers, fabric, beads, sewing them with thread or stick with a pistol with hot glue.